Property Info: 3 BR, 3 BA Unit with 1,700+ sq. 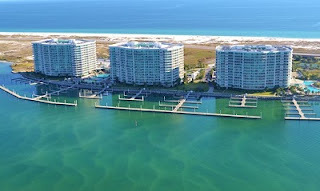 ft.
Caribe waterfront condo for sale in Orange Beach Alabama. Exceptionally well furnished beach residence with expansive views of the Gulf of Mexico. This home has been updated and well maintained – tastefully decorated with beautiful tile and laminate flooring. The large, spacious floor-plan offers plenty of room to relax after a day of fun in the sun. Caribe communities amenities include a lazy river, multiple indoor & outdoor pools, state of the art exercise facility, putting green, tennis courts, sauna, BBQ grills, and more – don’t miss viewing this one!.